The Scandinavians have a long tradition of creating hanging mobiles. The seeds for modern-day designs were sown in Denmark in 1953 when Christian Flensted fashioned a rudimentary mobile from three paper storks and two straws for their baby daughter. The next year, Christian and his wife Grethe officially founded Flensted Mobiles. Before long, Christian became know as the "Uromager," which translates rougly to "maker of mischievous things that are always on the move." 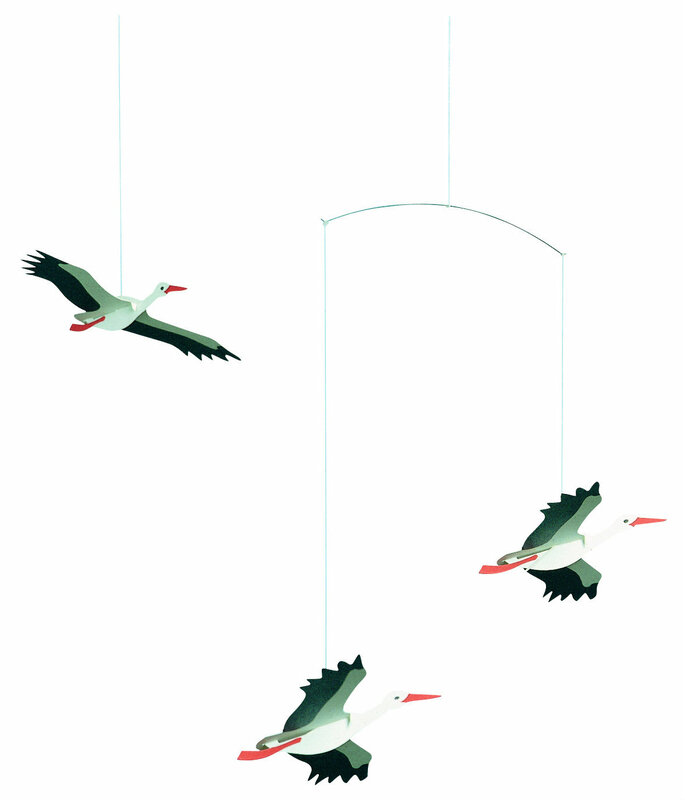 Flensted mobiles range in style from adorable baby mobiles to sleek and stunning modern kinetic art. Many designs are based on the fairy tales of fellow Dane, Hans Christian Andersen. Today, Flensted Mobiles is run by Ole and Aase Flensted, son and daughter-in-law of Christian and Grethe. Flensted Mobiles are based in Brenderup, Denmark, and they are made by hand by locals on the nearby island of Funen. Each mobile is carefully assembled, expertly balanced, and skillfully packaged so they are ready to hang, right out of the box. Sixty years and hundreds of mobile design later, Flensted Mobiles continue to delight with their whimsical, well designed, and high-quality magical, moving mobiles! Check out our entire selection of gorgeous Flensted Mobiles!